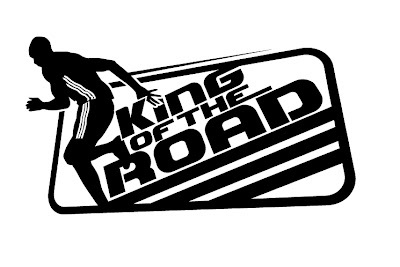 The adidas King of the Road Philippines will be held on 23 October 2011 (Sunday) at the Bonifacio Global City. Registration can be done online on www.adidaskingoftheroad.com. The registration will close on 31 August 2011 or upon reaching maximum number of slots. Registration is on a first-come first-served basis. When is the starting and closing date for the regular registration? Regular registration starts June 21 and will close on August 31, or while race slots last. Registration is on a first-come first-served basis. What is the age limit for KOTR 2011 participants? The minimum age to participate in this event will be 12 years old and the maximum age is 65 years old. 12-17 year-old participants need a parent’s or guardian’s consent to participate. How do I register if I’m under the age of 18? Participants below the age of 18 are required to seek parental/guardian consent as deemed necessary by the organizer upon online registration. Failing which, the organizer reserves the right to refuse entry to any participant. Can I register offline / manually and pay cash? For regular registration, all registrations are made online and payments are charged via credit card at www.adidaskingoftheroad.com. Only payment via Credit Card is accepted. We do not accept Cash, Check, Debit Card, and Online Transfer via Internet Banking. How much is the Race Entry Fee? Registrants will receive a confirmation email upon successful registration. The system will automatically allocate a unique Registration Number as shown in their confirmation email. Please note that Hivelocity Pte Ltd’ will be listed in your credit card bank statement for this transaction. It is necessary to bring a copy of the confirmation e-mail from the organizer and a valid ID upon collecting the Race Kit. The transaction did not go through. The e-mail address provided is invalid. The e-mail server blocked the email. Please contact us immediately at info@hivelocity.com.sg. Registration fee is strictly non-refundable. Yes. Registrants can make changes to their personal particulars by sending an email to service@hivelocity.com.sg. However changes to race category, date of birth, NRIC, gender and event running vest sizes are NOT considered as changes of personal particulars. Can I change my race category after I have registered? No. Race categories are non-transferable. The size that you have selected is out of stock. Please select your next preferred size. No, issuance of running singlet is on a first-come-first-served basis. When a particular color is unavailable the next available color will be issued. No requests for exchange of running vests will be entertained. Registered participants are invited to gather at the KOTR 2011 Kick-Off Assembly from Oct 10-12 at the NBC Tent, Bonifacio Global City, where race kits containing singlet, timing device, and other race paraphernalia will be distributed and a variety of activities await everyone. Those who have availed of the Free Run Promo get their race kits shipped to their mailing address for free. ALL participants who complete the run will be awarded a Finisher Medal at the finishing line. Medals will not be given to non-participants nor non-finishers of the race. A non-participant is a person who did not take part in the race on the date of the event and a non-finisher is a participant who retires from the race before finishing it. Pets are strictly not allowed on the race route.